The Mekong Delta stands at crossroads. In the past decades, the Mekong Delta successfully developed into the granary of the country and turned Vietnam into one of the leading rice exporters globally. Recognising the need for higher income generating possibilities in the agricultural sector, in 2000 the Vietnamese government introduced a policy on agricultural diversification which shifted production from rice mono-culture to a more diversified rice-based farming system which includes aquaculture, fruits and horticulture. In recent years, the region has been committed to official government development objectives for the Mekong Delta in becoming a balanced multi-sector economy with increasing urbanisation and industrialisation. However, despite all efforts, industrial development in the Mekong Delta falls behind and actual developments are deviating from existing government policies aimed at high-tech agricultural development and full exploitation of the competitive advantages of the region. Due to its geographical situation, the Mekong Delta is likely to be severely affected by the adverse impacts of climate change. Peak flows and river floods are set to increase in the wet season. Decreases in dry season flow may lead to serious fresh water shortages. The sea level will rise and saltwater intrusion will further increase, subjecting large areas of the coastal delta to a brackish environment. Transboundary developments may further aggravate the stress on land and water resources. Socio-economic developments determine to a large extent the ever-increasing pressure on the delta's land and water resources, even more than climate change. Developing an appropriate strategy to mitigate and adapt to these changes has become crucial. The Government of Vietnam has since long recognized the vital role of water as a key natural resource for the development of the Mekong Delta. In 2008, the National Target Program respond to Climate Change (NTP) was issued with the main strategic objective to assess climate change impacts on sectors and regions, and to develop feasible action plans to effectively respond to climate change in the short- as well as the long-term. It is this task that was at the heart of the Vietnamese – Netherlands cooperation on the Mekong Delta Plan. The premise for the Mekong Delta Plan is to contribute to realising and maintaining a prosperous delta, both economically and socially, in which its population can thrive in a vigorous and dynamic economy that is founded on sustainable use of its natural resources, and well adapted to changes in water resources and climate. It spells out what uncertainties and challenges confront the delta from now to 2050, and from 2050 towards 2100, and presents a clear long-term vision towards Agro-Business Industrialisation as a promising future strategy. Taking into account the existing government policies and the institutional framework, it is recognised that the orientation for the agricultural sector in the delta needs to shift from a focus on production towards a focus on added value by improving the product-value chain, involving public-private partnerships and introducing market-based mechanisms. The Mekong Delta Plan includes 'no-regret' and priority measures, as well as measures that can be deferred towards the longer-term that Vietnam could adopt to ensure a safe, prosperous and both economically and environmentally sustainable and climate proof future for the delta region. The Mekong Delta Plan is presented as a reference document for Government agencies and organisations at all levels. As such it provides a tool to support the review, coordination and integration of present and future master plans as well as a guideline towards implementation. Its findings are also important for the international development partners, universities and research institutes, potential domestic and foreign private investors as well as for a broader audience of individuals and organisations committed to the sustainable development of the Mekong Delta. 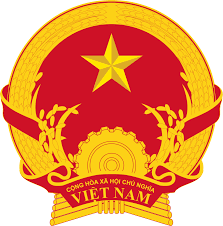 The Mekong Delta Plan was submitted to and endorsed by the Governmen of Vietnam in December 2013. The plan has no formal status in the Vietnamese administrative system other than providing strategic advice for future sustainable socio-economic development of the delta.